I’m hooked on windsurfing. Every time I go out on the water, wherever I am, I have the urge to go even higher and faster. Has to be every move or gybe more perfect than the one before. It remains interesting to find new moves so I can challenge myself. Also every session long or short gives me a sense of freedom. I like people who are motivated to achieve their goal, no matter what. And honesty is very important. When you drive to a perfect spot to train and the wind drops when you’re rigged and ready on the beach. Besides that it frustrates me when you have an appointment and the other person is late or does not show up at all without any notice. It is difficult to give an opinion about yourself, but I am quite proud of my perseverance. Sometimes when things are not going well, I have to lose my frustration but can go on positive afterwards. I am always open to a sportive challenge. What I do not like about myself is that I have no patience to do "office" work, although it is very important now and then. My best moment was that exciting week in Costa Brava in June this year in the foil discipline. Such a good start, then a lot of tension and losing my first place and then getting it back on the last event-day. Never forget that moment crossing the finish line and winning my first PWA – Foil event. 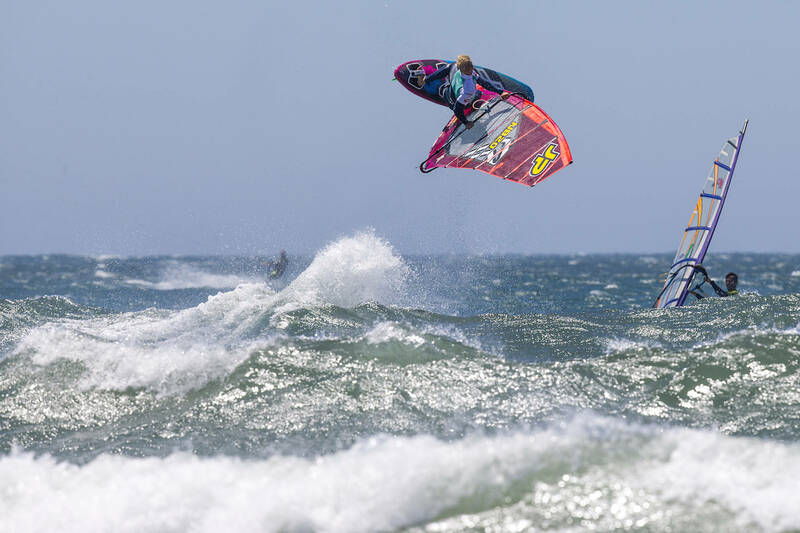 My worst moments were in both 2016 and 2017 during the Freestyle Finals in Sylt. Realising the wind dropped during the heat and that I should have gone out with a bigger sail. I would not change a thing and do it all over again. Very cliché but “Go Big or Go Home”. Go for it 100%, be focused and believe in yourself. Waking up at 6.30am – breakfast – gym – wind is up – my food ready to take to the beach – have an am and a good pm session, go home, chill with the playstation or watch a movie – hang out with friends – good night sleep and next morning repeat! My mom, Nancy! Besides her work at our company, she is day and night available to help, organise and arrange all kinds of things even though she is on Bonaire and I’m somewhere else on the globe. Always encouraging and pushing me and even travels with my heavy boardbags if necessary. She’s my manager and I couldn’t wish for a better one. I’m a fearless person! Life comes as it comes. You only live once so make the best of it and don't let fear stop you from doing everything or anything you like. My van, my home on wheels and storage for my windsurf equipment during the competition-season! A Formula1 driver. Racing is already my 2nd passion for a long time and this summer I even got my racing-license to race on a circuit. The best place will be always Bonaire for me. It’s home but as long as the wind blows I have all I need. 2nd place is Cape Town and already look forward to visit it again in January for the 3rd year in a row. I’m very curious about Colombia River Gorge near Portland in the USA. I saw some great videos of the windsurf spot there and really want to look into the possibility to visit this place in the near future. Dutch F1 driver Max Verstappen. I admire his perseverance, his guts and professionalism. Spotify! I always wake up with my favourite music. Get pumped up and start an active new day. It’s stickered on my van: Wind, water and windsurfing gives me adrenaline, a sense of the ultimate freedom!